How often should I defragment my hard disk? Periodically defragmenting a hard drive can significantly improve its performance. I'll review how often makes sense and when you shouldn't. How many times in a week is it good to defragment and run my anti-virus? Mostly, I run both one to two times in a week. My most common answer is that it depends. It depends on several things, including your machine, how you use it and how much you do. As it turns out, even the version of Windows plays a part. I'll give you a few guidelines. Knowing nothing else, if you run Windows XP or Windows Vista, then I recommend scheduling the defragmenter to run once a week on each drive. Schedule it to run at a time when the computer is likely to be on, of course. How do I schedule Disk Defragmenter to run with the Windows Task Scheduler? will get you started. You'll note that I explicitly left out Windows 7. Windows 7 does exactly this by default. If you open up the task scheduler in Windows 7, you'll find that there's already a weekly task to defragment the hard drives in your machine. What if your machine isn't on when the scheduled time happens? "Run the task as soon as possible after a scheduled start is missed" is selected. And it also requires that the machine be idle for three minutes before starting so it won't necessarily interfere with your work. For most Windows 7 owners, there's nothing more that needs to be done. If you use your computer heavily, and I do mean heavily (creating and deleting lots of files every day, writing and erasing lots of data in various forms), then there might be a case for defragmenting more frequently. Because defragmenting your hard drive is solely a performance tweak, this is something that you can test for yourself. A couple of days of normal usage after you defragment your hard drive, defragment it again and see if you notice a difference. Or, just defrag nightly, as I did for years. It really doesn't harm anything. It doesn't help. 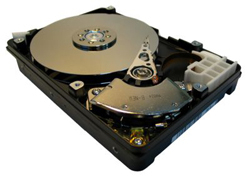 The performance gains achieved by defragmenting a hard drive are specifically associated with disks that use a moving magnetic head over a spinning magnetic media: in other words, a traditional hard drive. Sectors which are located completely electronically as they are with SSDs and flash drives don't slow down as files become fragmented and thus, don't speed up when you defrag. It shortens the life of the media. Flash memory wears out the more you write to it. How quickly depends on the quality of the memory, of course, but the fact remains that the more you write to SSDs and flash memory, the sooner that it'll fail. And defragging a disk writes a lot. There's no reason to defrag these devices and every reason not to. Files like your paging file, hibernation file, and the system registry typically cannot be defragged by normal means because they're locked and in use by Windows itself. First, it's OK to let that be. Windows caches so much of its file system in memory that speed impact is typically negligible. Second, if you do feel the need to defragment these files, you needn't do it nearly as often as your regular files. Once or twice a year, maybe. How? PageDefrag, a free tool from Microsoft. It works by scheduling the defrag operation to happen the next time that you reboot your system, before Windows is loaded. It's probably worth doing once after you've used your system for a while or if you change the location of your paging file. Or not at all. That's typically been my approach. † Because SSDs are actually made from flash memory, this is technically redundant. To avoid confusion, I'm mentioning them both as many people think of them as two different things. 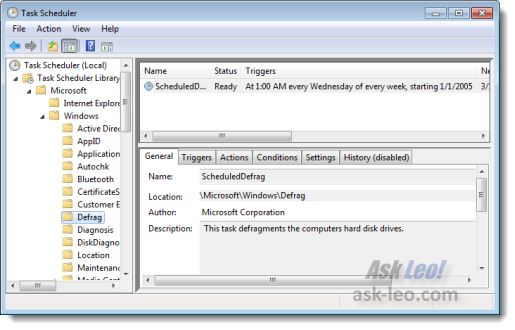 How do I schedule Disk Defragmenter to run with the Windows Task Scheduler? You want to defragment your hard disk periodically. Task Scheduler runs programs periodically. Put those together to defragment your disk regularly. What is 'defragging', and why should I do it? Defragging is short for defragmenting which rearranges the layout of files on your hard disk for faster access. Why won't some files defrag? When you defrag files the pieces of the file are physically arranged for quicker access. But you can't defrag some files. At least, not easily. Steve Gibson of Security Now recommends a free defrag tool called MyDefrag. It has several settings for daily, monthly and weekly-and explains what each does. It also explains the most effective way to use in (in safe mode). I've used it and like it. And you know Steve won't recommend something he does not trust. Personally I use Auslogics Disk Defrag. It lets you see how badly the disk is fragmented before defragging and its fun to see all the little colored blocks moving around (which is a feature I sorely missed from Windows 9x). I use 'smart defrag' because it automatically defrags after I'm idle for 5 minutes. I never have to worry about it. My favorite tool for defragmenting is from Piriform, called Defraggler. I use it most often on Vista systems. Your article states that Windows 7 has defragmenting scheduled by default. I find Vista does too, but it doesn't work. I help people tune up their computers, and invariably the Vista defragmenter reports it ran as a scheduled task and the disk is 0% defragmented. I use Defraggler on all Vista systems I work on, and the performance is drastically improved every time. I've been a firm believer of defragging for a number of years now, right up to XP which I currently use. Simply, it's imperative, especially, aligned to Leo's comment, if one deletes, adds, etc. often, which I do. "Disc MD" by P C Pitstop served me well for a number of years, until I upgraded my hard drive to 320 Gigs and, by deduction, its formula for defragging (each defragger has its own method) started to show its age. Yes, it still worked FAR better than the OEM in XP. And, yes, I could still be using it reasonably happily. Until I tried Auslogics. Gosh, what an incredible piece of defragging software. Simply ... excellent ... nothing more to say. I've tried Piriform's "Defraggler" and it's good ... slightly better than Disc MD mentioned above. "MyDefrag" (V4.3.1) was ... "okay", but nothing more than that. For a free, stunning defragger, Auslogics is king, followed by Defraggler and, still in the running, Disc MD. Note that my version of Disc MD is a few years old (and it's paid for, not free as is Auslogics, Defragler and MyDefrag). So, to be fair, Disc MD's latest version could be the best thing ... don't know for sure. But, with Auslogics excellent performance ... at no cost(!) ... is there even a contest? I defrag, on average, once per week. And, in closing, a little secret: every month or two, disconnect all external hard drives, etc. and defrag in "Safe Mode" ... you won't believe the performance boost. And, of course, use a combo of cleaners (e.g. CCleaner, Glary, Tweaknow Powerpack, etc.) to completely clean your system BEFORE defragging the drive. Ideally, after cleaning, you'd want to re-start your machine before defragging, letting it boot up properly before defragging. My preferred method for defragmenting my 4 drives is to stick an automatic defragmenter on it (I use a paid one), configure the options for each drive once, and then forget about it lol. Works perfectly- no performance drop from any of the drives even over months and months of usage. The defragger defrags all files including the MFT and other system files. It cleans up the page file too with a boot-time defrag, but I've never had to use that option since I've set the page file to a fixed size and it's on a physical drive other than the OS drive. If a user is doing the typical web surfing/reading-writing email/creating word docs and storing digital camera images then fragmentation won't become a problem. If a user is frequently writing/deleting large multi-gigabyte video files like I have a habit of doing, then fragmentation can become an issue...eventually. NTFS has come a long way in structurally avoiding fragmentation, especially in the common case of large amounts of small files. Frequent defragging, in most cases, is not really necessary. That being said, defragging certainly won't hurt anything. In older Windows versions, I moved to running the standard windows defragmenter having booted in Safe Mode, as when running normally it kept stopping and returning to the beginning. I also now use My Defrag (which utilises the standard Windows routines that perform the defrag actions) and I'm very pleased with it, and don't need to boot into safe mode. It is best (and should be fastest) if you don't work on that drive on the computer while it is defragmenting - I don't have my mail program or anything running when defragmenting the C drive. Also it helps if there is 'plenty' of free space - try running the Windows Accessory 'Disk Cleanup' beforehand to get rid of files you don't want, rather than reorganise them on the disk. I highly recommend "Perfect Disk" by Raxco. I agree with Tom R above. The average home user probably does no more than he has suggested (surf/email/photos) and with the huge size of today's hard discs there is a high probability that there will always be sufficient contiguous space for any new file. Defragging for most people is simply not worth worrying about. It defrags and also places the frequently used files and directories into the fastest area of the disk, for top speed and stability. The new version allows you to defrag files during the system boot process. I've tried many defraggers and find this to be noticeably better. My Internal hard drive covers C to K. Windows XP Pro. Perfect Disk 11 does the job better than a normal manual defrag. Used JKDefrag for years without any issues. So updated to MyDefrag after that was released. The optimization process in MyDefrag created some major issues in Win7 64-bit system. Proved it was caused by MyDefrag. Now using Auslogics Disk Defrag which has improved dramatically over the last couple of releases. 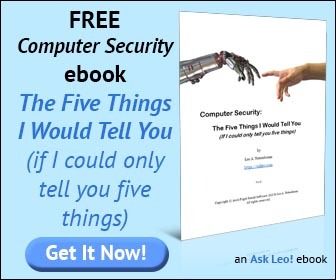 Surprised to read you recommend defragging once per week Leo. I would have thought monthly would be plenty for most. I've lost count of the computers (and hard drives) that I've had over the past 25 years. And the hard drives have outlasted the computers with only ONE single exception about 16 years ago. In the late 80's, early 90's, I subscribed to the defrag concept almost religiously. I've loaded and deleted LOTS of programs and files, yet I've NEVER experienced any noticeable improvement in time or speed after defragging. Which actually makes sense. At their high speeds, hard drives don't track continuously, anyway. They use an interleave factor where it reads part of a track on one spin, and then skips and picks up again on an alternate spin. I haven't defragged in over 10 years. Any deterioration in computer speed has been a function of registry and background processing, resolved by judicious use of Revo Uninstaller and CC Cleaner. I use both Auslogics and Defraggler interchangeably. I like three things about each: they are free, portable and show fragments by file. Seeing a report by file lets me just defrag a few files and not do the entire partition. No need to defrag Restore Points for example. I usually defrag the files with the most extents and those in folders that I use often even if they are not in many extents. I have used Ashampoo Magical Defrag for several years which works quietly when PC is idle. My hard drive is permanantly defragged works well. Latest version 3 just released cheap to purchase works for me. I use Windows Vista and was going to follow your advice, but it seems that a scheduled defrag is already in the task scheduler for the same day and time as in Windows 7. For those who like using Auslogics' defragger, they also make the Auslogices Disk Defrag Screen Saver that you can set up to run the defrag whenever your screensaver would normally kick in. Same as Andrew - my version of Vista came programmed for defrag on Wednesdays at 8 p.m. Have never had reason to change that. Took your advise on PAGEDEFRAG but after 5 download attempts before finally taking, and 6 tries of running the program on reboots and 1.5 man/hours of distress, finally gave up and deleted the program. An e-mail to there 'tech' dept has not as yet yeilded a response. When I put the paperwork back into my file, found a page from downloading the same program on 10/2/2002, with the same negative result. FWIW. OK, here's a contrary comment: A few years ago, PCWorld (Magazine) published speed-test results of "before and after" defragmenting hard disks in their lab. They tested this with a number of computers and programs and the results were that the gain was negligible. Over the months, they repeated their findings a few times, and every once in a while, they still mention it, but don't harp on it. I noticed in their most recent issue (April 2011), in an article titled "Speed Up Your PC," they conspicuously omit defragmenting one's hard disk as a way to speed things up. Just before typing this comment, I did a quick Google search (asking if defragmenting makes a difference) and found a few (not many) results suggesting the same thing. It certainly SEEMS logical (that defragmenting would make a difference), but what evidence does anyone have (other than subjective "I can tell!!" opinions) that it really helps? So burn me at the stake for heresy! I am a professional (I have been in this industry for 35 years) and I know for a fact that defragging has very little effect on improving performance on today's computers. I am writing this to try and get people to ignore this BAD information that seems to be floating around the Internet. If you are experiencing performance issues it is most probably caused by one or more programs (processes) doing excessive disk accesses at the time when you try and initiate a process yourself, one or more processes hogging the CPU or a faulty hard disk. These are the three most common reasons and there are tools available to help in determining which of these is the issue. Look at "Process Monitor" (from Microsoft, actually created by Mark Russinovich before he was employed by Microsoft), the builtin "Task Manager" for CPU utilization (or better still "Process Explorer" (also written by Mark) and "chkdsk /r" which comes as part of the operating system. "Process Monitor" will show you disk accesses. "Process Explorer" will show you CPU Utilization and "chkdsk /r" will indicate if your hard disk is faulty (among other things). Again, forget the defragging: It's not worth the time nor the effort and if your computer happens to crash or loose power at the time a defrag is occurring you may end up re-installing corrupt software. I think you are placing a lot more emphasis on the need for defragging than it is worth (i.e., giving people the wrong impression). The reason I say this is that there are VERY few instances where defragging actually produces much difference. Tests have been conducted at PC Mag indicating very little improvement. I believe one of your other commentors referenced this study. As well, and in my past 10 years of servicing computers (as this is what I have done for a living for that period) I have never yet seen a performance problem resolved by defragging. Defragging used to be worth doing many years ago when computers were much slower, but now that we have much faster hard drives, etc the benefit is no longer noticeable. i use 'smart defrag' which defrags automatically when my computer is idle..i never have to think about it. I don't know about other people, but I recently had the wonderful experience of doing maintenance on a PC that hadn't been defragged, disk-cleaned, or otherwise maintained for YEARS. After clearing things out, the tiny hdd had over 50 gigs of fragmented files. Defragging it most CERTAINLY allowed it to run faster in this case, but I believe this is an extreme case. In terms of speed-boost being negligible, I think that's up to a case-by-case basis. I'm a very, very "heavy" pc user (LOTS of very large files being added, moved about, and deleted in a day) and I can easily notice the difference. I defrag my newest computer after I've done any massive data stuff (at the end of the day, I get several gigs of fragmented files), and it runs like no one's business. The machine that became the example machine for my book Maintaining Windows XP - A Practical Guide sounds very much like the machine you describe. Years of zero maintenance. Defragging (a couple of times, actually) made a big difference. I've been working with pc's since before there were pc (IBM clones? Eeeek). I've never noticed ANY difference in performance after defragging. I think the only reason I do it, if I do at all, is I understand the mechanics behind it and it does make sense. But I have never see any positive effects sitting at the keyboard. Disk access tests may say different. But seat of the pants? No. And it certainly won't fix a jacked up pc as some people think. What is frustrating is that so many people believe that many of their pc "problems" can be fixed by defragging... Even application issues or pc oddities. They have heard that defragging will fix their problems. It's a bit frustrating as a repair person. If the pc is acting up, I wouldn’t be wasting my time defragging it to see if that helps. I can say that that the last time "I felt" defragging was helpful is with the old 20, 30 "MB" older drives. These drivers were S.L.O.W. The less you could get them to hunt around the platter the better. But that was long ago and I can't verify it.